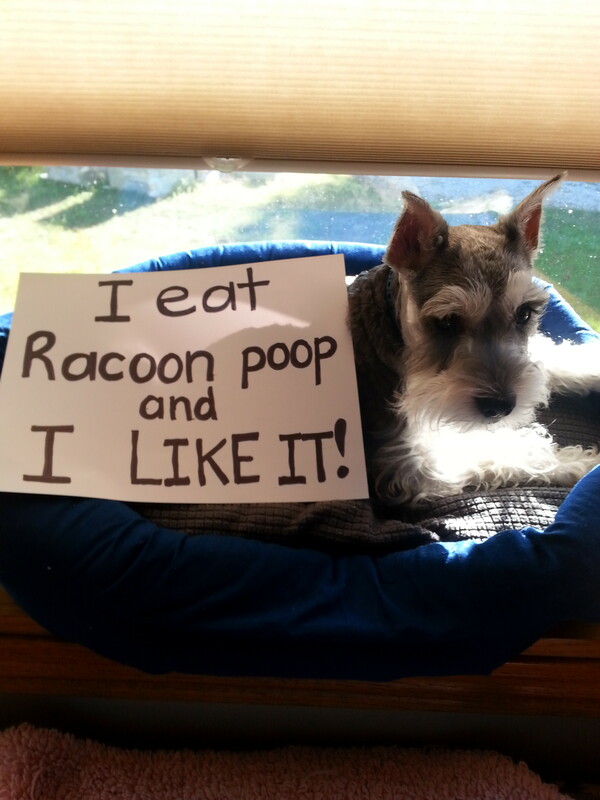 I eat Raccoon poop and I LKE IT! Posted March 17th, 2014 . Does he kiss a girl after? And now I have to go look up Laurie’s word. Baylisascariasis can be transmitted from raccoon feces to dogs from ingestion. It can be fatal.